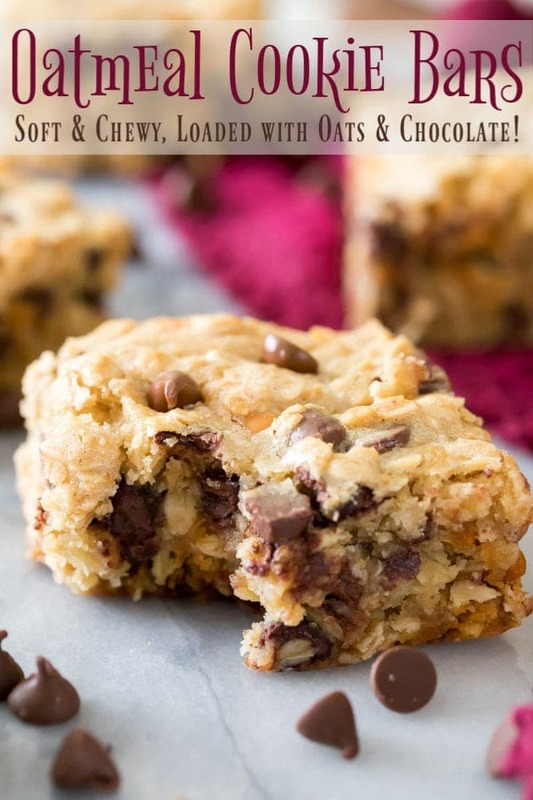 I am definitely going to try this… I was wondering if cutting some of the sugar would be ok? Hi Thespina! I haven’t tried it, but I think that would work, however, it will alter the final flavor. Hi Sam! I absolutely LOVE your recipes and videos! 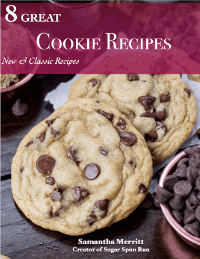 Two questions…Would margarine work for this recipe, and what modifications are needed to make these in a 9×13 pan??? Thanks!!! Hi Courtney! I think the margarine would work here. You could put the batter in a 9 x 13 without doing anything else, but the bars would be thinner and you would need to cook them for less time. To keep the same thickness, you would need to increase the recipe by 25%-33%, and increase the bake time. I don’t know how long they would need to bake in a 9 x 13 though. I’ll give it a try and let you know how it goes. Thanks So Much!!! 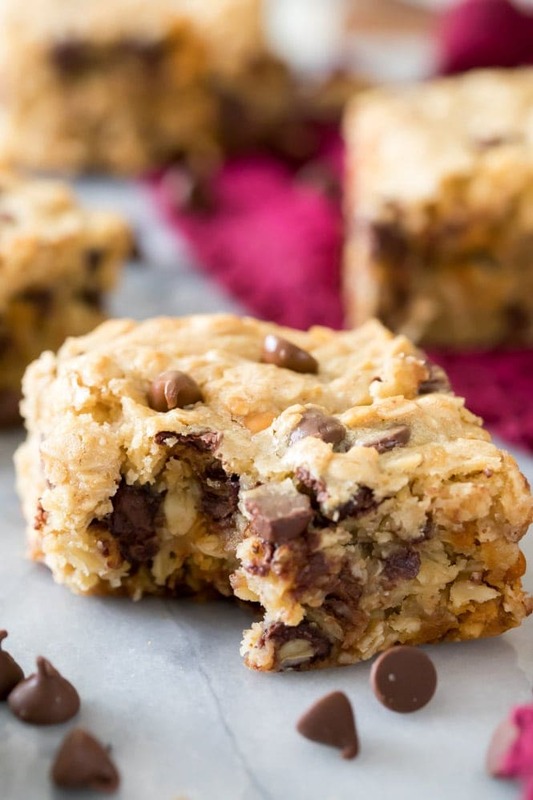 These Oatmeal Cookie Bars came out wonderful! The only thing I changed, I added 1 cup of chopped pecans. This recipe is a keeper! Thank You! My family loved these. 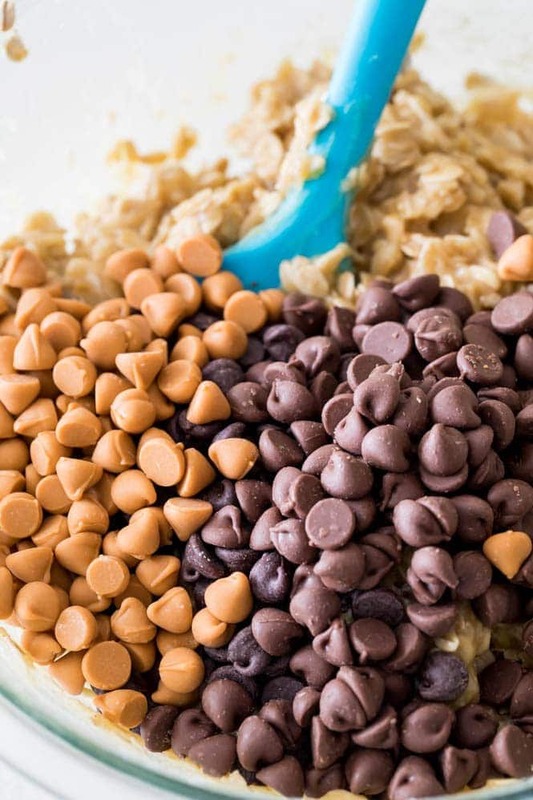 We used all semi chocolate chips and they were delicious. 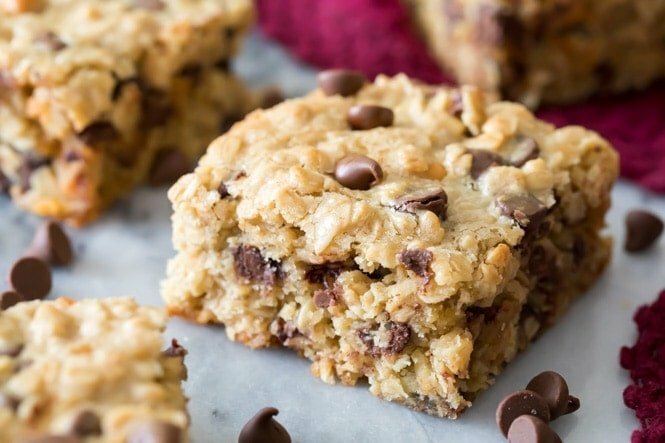 Have you ever made them with quick oats? Was wondering if that would make them to dense? Hi Stephanie! 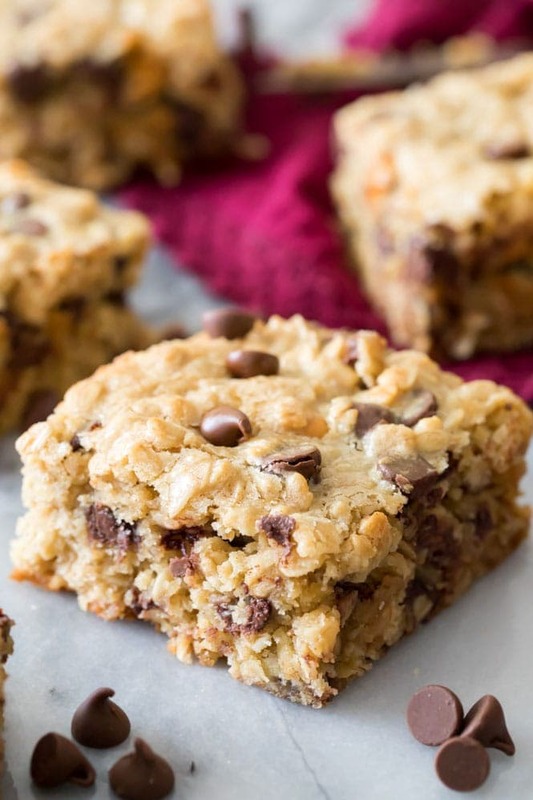 Quick oats would probably work, but this is a pretty dense cookie bar to start. 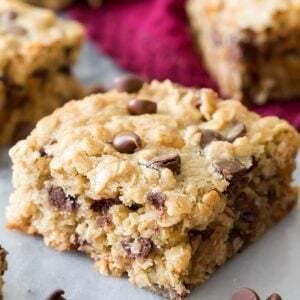 Oh Boy…I picked this recipe because it seemed just what I wanted…to cut and send to someone who needs some comfort goodies… taste good, better then good…but they crumbled…not salvageable to send…disappointed. Hi Anne! I’m so disappointed to hear this. I have never had this happen. Is it possible they were over-baked, or cut too soon after coming out of the oven?